By admin | October 25, 2012. 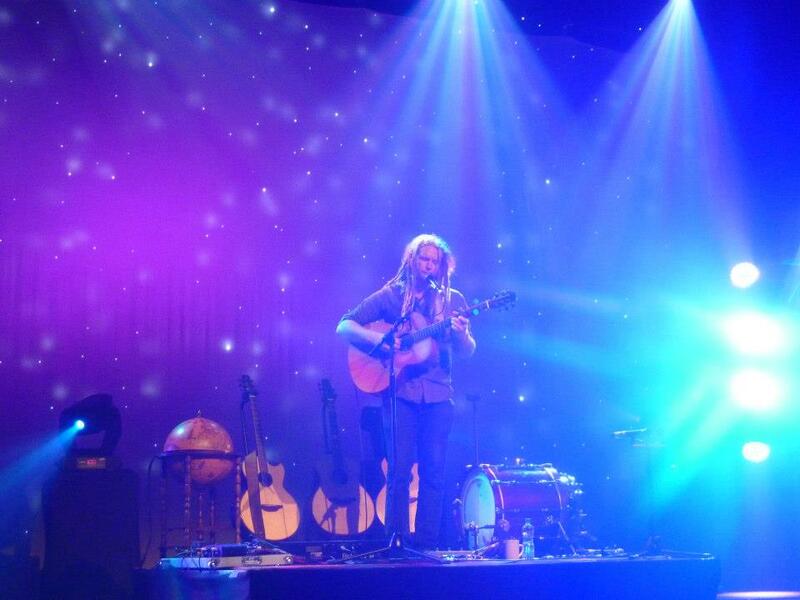 Sara Dalton reviews Newton Faulkner’s latest Dublin gig, which took place in the Olympia Theatre earlier this month. Surrey born singer-song writer Newton Faulkner brought his feel good acoustic set to the Olympia Theatre earlier this month. The hour and a half long set was complimented by the charm and intimacy of the the Liberties’ venue. It can be easy to dismiss or criticise the artist’s happy-go-lucky lyrics as simplistic or preachy, but the serenity of his live performance was alluring and powerful. He delivered his message with passion and honesty. Strumming his guitar, he swayed his red dreadlocked mane and grinned at his audience who bopped their heads and sang his lyrics back to him. Failkner performed all his big hits including ‘Teardrops’, ‘Dreamcatch me’ and ‘Write It On Your Skin’ as well as a cover of the Stevie Wonder classic ‘Superstition’ and the lesser known ‘Clouds’, with which he displayed his renowned technical ability on guitar. Faulkner looked surreal standing alone and barefoot at centre stage. The stage lighting was arranged to twinkle like stars around him and an old fashioned globe stood beside his four guitars projecting a shamelessly bohemian visage. Bizarrely, the globe contained a white china teapot which Faulkner would retrieve at intervals and pour from. As spelt out by his song Against The Grain, Faulkner does his own thing. Whether to your taste or not, he will continue to drink tea from a globe and play barefoot to a swaying smiling audience.